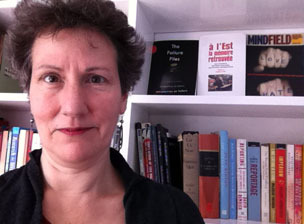 Susan Greenberg has research interests in Publishing Studies, particularly editorial practices and publishing history, and leads the MA Publishing programme. Her latest work is the monograph A Poetics of Editing (Palgrave 2018). She also carries out research on narrative nonfiction, with a focus on the two-way relationship between facts/objectivity and feelings/subjectivity and is a founding member of the International Association of Literary Journalism Studies (IALJS). She welcomes doctoral applications in both of these areas. Before turning to teaching and research, Greenberg had a long track record as a writer and editor for newspapers, magazines and the web, including work as Czech and Slovak correspondent for The Guardian. She is a Senior Fellow of Advance HE and has completed SEDA training in doctoral supervision. Managing editor, The Henley Centre consumer consultancy; Director Oddfish communications consultancy; Website content strategy for Chief Medical Officer, Department of Health; Series editor, Camden Press 'Mindfield' book series. Convener of MA Publishing; Module convener for Publishing Contexts (MA); Dimensions of Editing (MA); Publishing Dissertation (MA); Telling True Stories (BA); Publishing: From Book to Internet (BA).